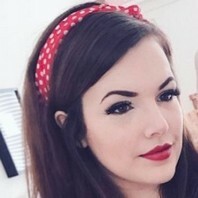 YouTube sensation known for her comedy sketches and beauty and lifestyle videos on her eponymous channel, which has earned over 430,000 subscribers. Her video "Coke and Milk" went viral when she posted it in September of 2011. @x_ToxicTears I wouldn’t even pay that to meet JK Rowling and she’s my absolute QUEEN!